I always heard it was twelve monkeys then a hundred monkeys but then it became an ifinite army of monkeys…. Émile Borel, “Mécanique Statistique et Irréversibilité,” J. Phys. 5e série, vol. 3, 1913, pp.189-196. The theory starts now to define even the existence of a “communal consciousness” or God. The theory in its onion like layers begs to be taken further into debate as to the very intention of why it would be necessary to even have monkeys reproduce Shakespeare. 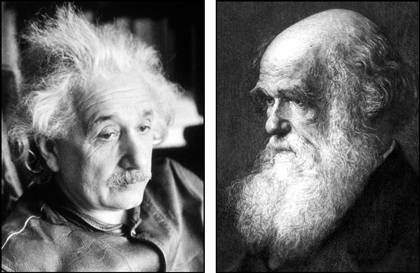 What starts out as a little evolutionary joke becomes almost sinister in its theory. No proof of this literary mathematical theorem exists before Huxley – it seems to reach back into time but must coincide with the invention of the Typewriter. 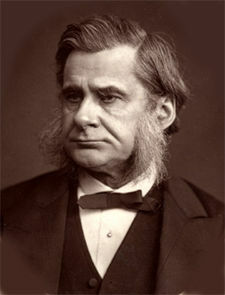 Were there typewriters in Huxley’s time (4 May 1825 – 29 June 1895)? Yes the Mass marketed Typewriter was invented by E. Remington & Sons who moved from Ilion, NY from 1874-1878 to right here in Wisconsin to mass produce their diabolical creation (there were writing machines before this time but not available for purchase). There was a patent fight with Edison but that is a different story. There has been access to Monkeys going back to the Romans so clues lie with the Typewriter – now the story takes on a technological overtone . No typewriters = no infinite theory. Technology=Infinity. We are getting dangerously close to Robot Typewriter Overlords now. 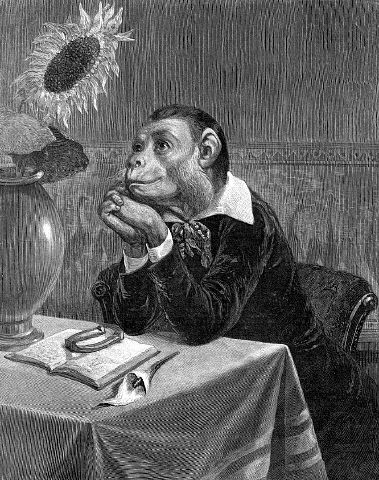 There are the theoretical computations of the Monkey Shakespeare question – Nick Hoggard, a British computer programmer living in Sweden, decided to put the theory to the test. Hoggard designed “The Monkey Shakespeare Simulator,” (which can no longer be found online) to find out how many lines of Shakespeare a group of hypothetical simians could come up with if given a limitless amount of time. Rubbish indeed it is my feeling that his site was taken down by the government – something very fishy about monkey simulators – army applications no doubt with monkeys as warriors with guns, or poetic mind powers. Very Planet of the Apes. But there is a lighter side to all this. Comedian Bob Newhart had a stand-up routine in which a lab technician monitoring an “infinitely many monkeys” experiment discovered that one of the monkeys has typed something of interest. A typical punch line would be: “Hey, Harry! This one looks a little famous: ‘To be or not to be — that is thegrrdnm zsplkt. The very concept of infinity is as mind boggling as the concept of zero. I truly believe there can be no zero. It is impossible for nothing to exist in a space – there is always something, even the thought of something if indeed “thoughts” have energy – you are then thinking of something and zero again cannot exist. Can there be an infinite number of things? It is the infinite improbability drive in The Hitchhiker’s Guide to the Galaxy that saves Arthur Dent and Ford Prefect from certain death by asphyxiation in deep space after being thrown out of the Vogon ship; the improbable odds against being rescued being two raised to the power of the Islington (London) flat phone number where Arthur had met Tricia McMillan, aka Trillian, who is aboard the Heart of Gold with Zaphod Beeblebrox. Incidentally, Adams explained in the annotated volume of the original radio scripts that it was the eviction of Arthur and Ford out the space lock of the Vogon ship that led to his own “invention” of the Infinite Improbability Drive. Adams realized that he had worked the story into a dead end, thinking in frustration that the only solutions would be “infinitely improbable.” In a flash of insight and what Adams called “mental jujitsu”, the Infinite Improbability Drive was born. In the third book, the Infinite Improbability Drive is discovered to be the Golden Bail of Prosperity in the Wikkit Gate. It is stolen by the white Krikkit robots, however, it was returned and the Heart of Gold returned to operational status. I do not believe that Massive Existence Failure could ever happen. 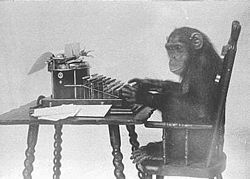 I also think that it is time to update the Monkey theorem to modern times. 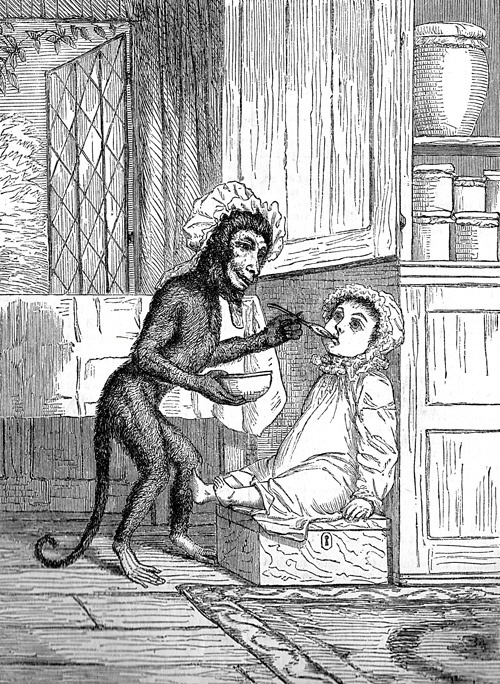 Only one Genetically Cloned Altered Monkey on one computer could create the works of Shakespeare. Where is Shakespeare buried again? And our monkey….his name is William of course.